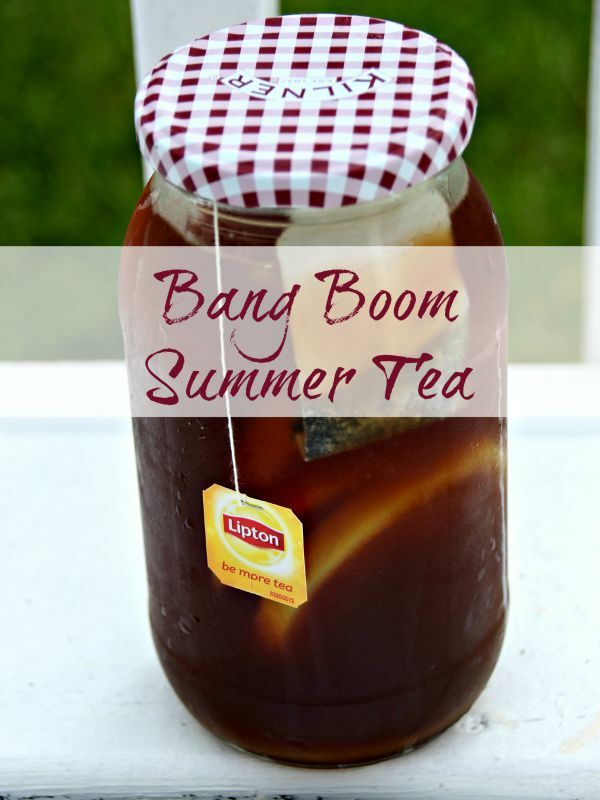 Bang Boom Summer Tea is a play on a seasonal summer favorite, sun tea. For these jars of happy juice I used 12 ounce jars. 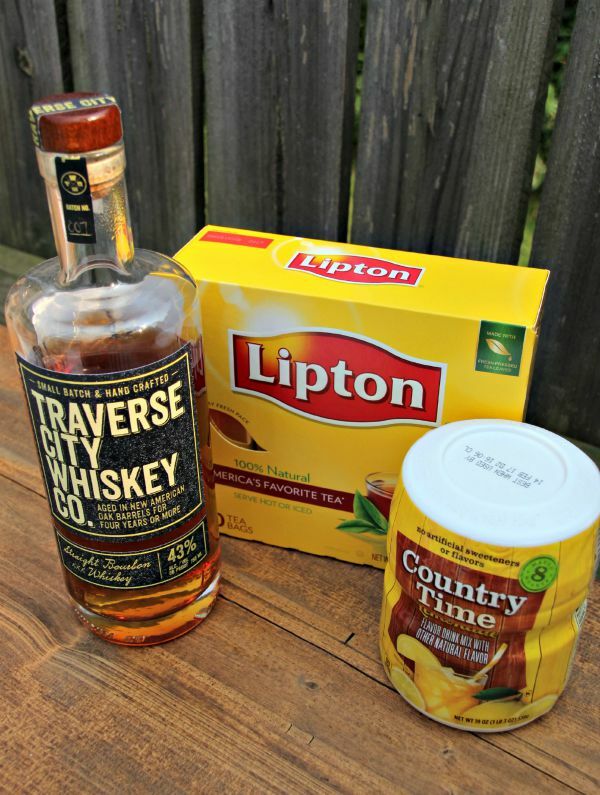 Once all of the ingredients are mixed screw on the top and place outside in the sun and like Mother Nature brew you up something nice with a bourbon kick. Remove tops from jars and fill each half way with tepid water and place a single teabag into the jar with the string hanging over the side. Screw lids back on then place jars outside in direct sunlight for 30 minutes. 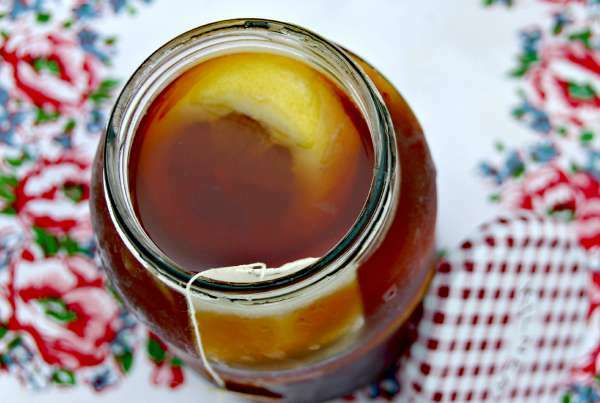 Take jars back inside and reopen, put 1 1/2 tablespoons of Country Time Lemonade and add 1-2 shots of your favorite bourbon whiskey and 3-4 lemon slices into each jar. Fill with lukewarm water until just at the neck of the jar without overfilling. Place lids back onto jars and give each jar a vigorous shake then set back in direct sunlight for a couple of hours. Before serving place jars into the freezer and chill until nice and cold (do not completely freeze because jars may burst) then serve. Take jars back inside and reopen, put 1½ tablespoons of Country Time Lemonade and add 1-2 shots of your favorite bourbon whiskey and 3-4 lemon slices into each jar. Fill with lukewarm water until just at the neck of the jar without overfilling. Place lids back onto jars and give each jar a vigorous shake then set back in direct sunlight for a couple of hours. 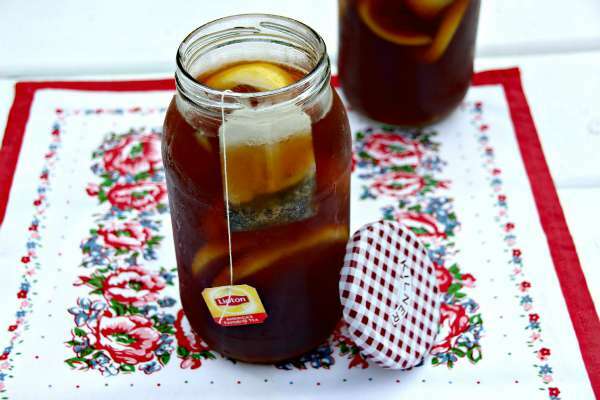 I love sun tea! 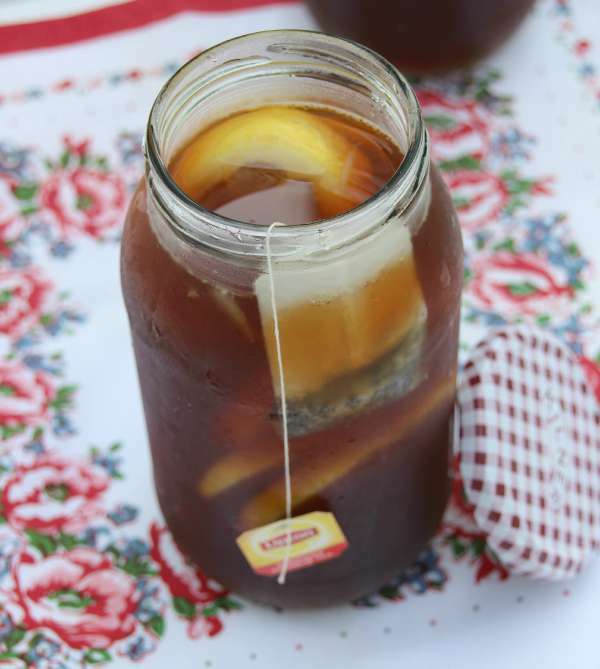 This recipe is sun tea and then some! I bet it’s really good after getting it nice and cold in the freezer?! Thanks for sharing on The Living with Style Linky Party!